WD 6 P Premium 13482700 https://www.kaercher.com/ae/home-garden/multi-functional-vacuum-cleaners/multi-purpose-vacuum-cleaners/wd-6-p-premium-13482700.html Ultra-powerful and energy-efficient: WD 6 P Premium multi-purpose vacuum cleaner. With stainless steel container, power outlet, innovative filter removal technology, filter cleaning etc. 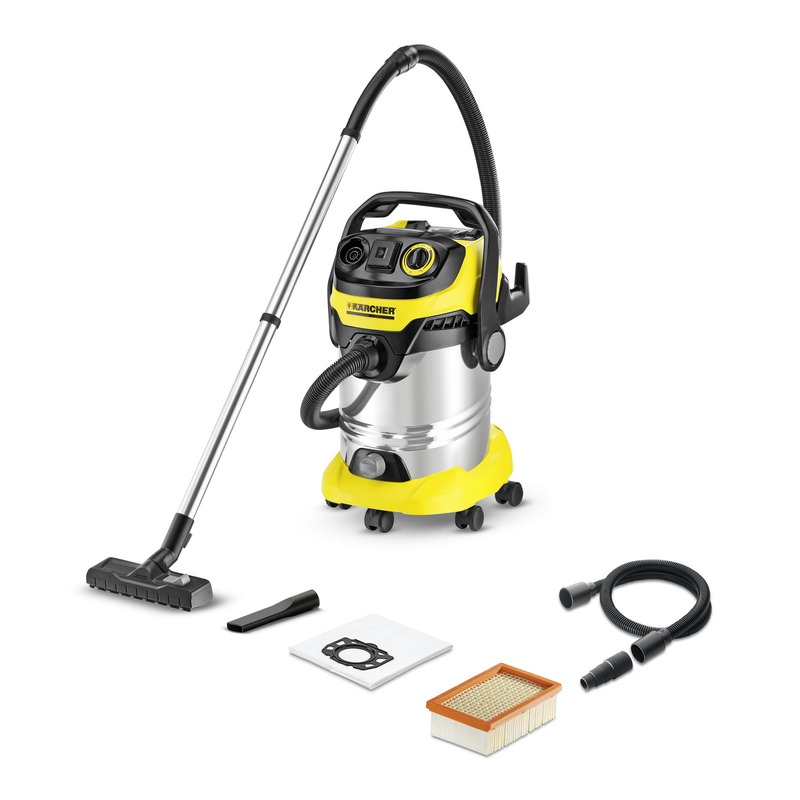 Ultra-powerful and energy-efficient: WD 6 P Premium multi-purpose vacuum cleaner. With stainless steel container, power outlet, innovative filter removal technology, filter cleaning etc. Dirt that is a result of planing, sawing or grinding is suctioned away directly. The vacuum cleaner is switched on and off automatically via the power tool. Time and energy-saving emptying of large water volumes.